Teen Titans GO! 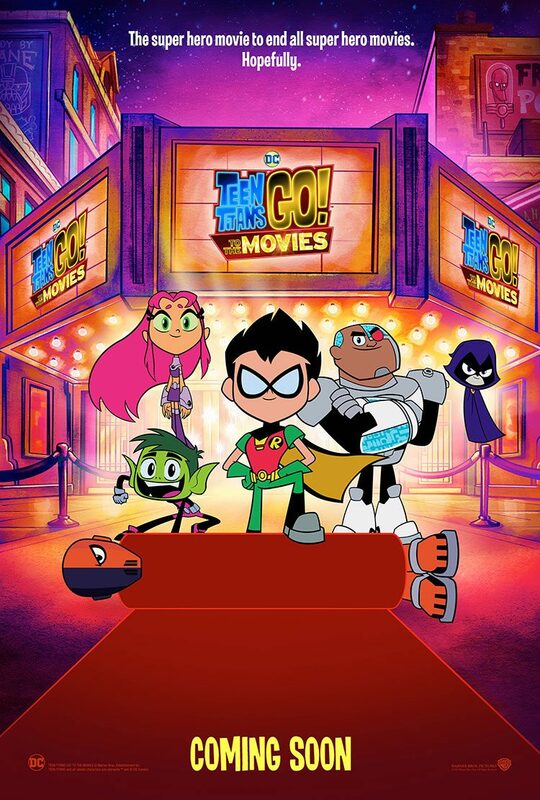 is one of the smartest, wittiest animated shows on TV, with Warner/DC Comics allowing it to put its tongue in its cheek, be a bit silly and have fun with some classic characters. Now it’s getting a movie, which has just released its first teaser trailer. 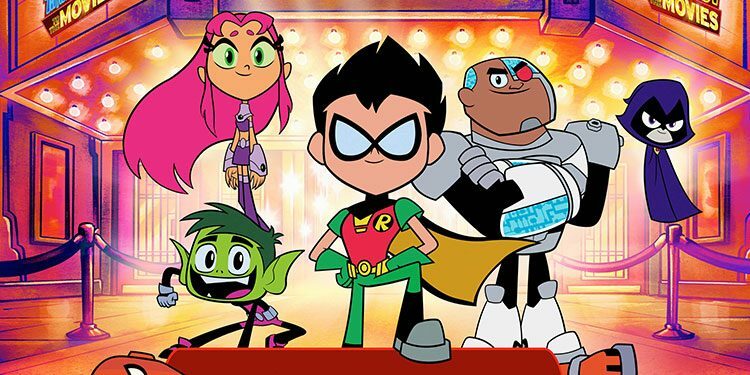 Here’s the synopsis: ‘“Teen Titans GO! to the Movies” finds our egocentric, wildly satirical Super Heroes in their first feature film extravaganza—a fresh, gleefully clever, kid-appropriately crass and tongue-in-cheek play on the superhero genre, complete with musical numbers. It seems to the Teens that all the major superheroes out there are starring in their own movies—everyone but the Teen Titans, that is! But de facto leader Robin is determined to remedy the situation, and be seen as a star instead of a sidekick. If only they could get the hottest Hollywood film director to notice them. With a few madcap ideas and a song in their heart, the Teen Titans head to Tinsel Town, certain to pull off their dream. But when the group is radically misdirected by a seriously super villain and his maniacal plan to take over the Earth, things really go awry. The team finds their friendship and their fighting spirit failing, putting the very fate of the Teen Titans themselves on the line!